If I’m asking you to become a member, it’s only right that you know something about me and the thoughts that guide my teaching and trading philosophy. Some instructors talk about how much money can be made with options, but never suggest the possibility of losing money. Let me assure you losing money is a real and common occurrence. The majority of people who attempt to trade for a living fail to make any money. Amazingly, they never show a profit. The same principle remains for all traders: many fail. If you are an individual investor with realistic profit expectations, you can succeed. My job is to make that learning process easier and smoother. However, I cannot guarantee that any individual trader will achieve his/her desired results. Everyone understands that a great deal of training is required to become a doctor or lawyer. Yet, trading is thought to be different. Almost every beginner believes it’s easy to trade and earn big bucks. It’s not easy, unless you happen to buy stocks just before a major rally, and remember to sell before the bubble bursts. 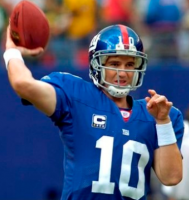 I’d like Eli Manning’s job, but I am not qualified. Yet many believe that career path to becoming a trader/investor is simple. After all, don’t the TV ads of certain stockbrokers tell us that they provide ‘research’ so we can pick the best stocks? It’s nonsense. Professional money managers can’t pick winning stocks on a consistent basis, so why should any of us be able to use the broker’s ‘research’ to suddenly become a skilled stock picker? I understand how anxious you are to get started with real trading, but if you take the extra time to understand what you are learning, you will fare much batter. Certain traits are necessary to be a winner: the willingness to learn, the ability to control emotions (especially greed and fear), and the ability to recognize when you have too much at risk. Believe that managing risk is an essential skill. Believe that it is never too early in your trading career to recognize the importance of risk management. If you delay that part of your education until you are an experienced trader, there is a good chance that you will never get to be that experienced trader. Traders play in the world of statistics. Unexpected events occur and you must never bet the ranch that such an event will not happen. Do not seek tiny rewards, despite the high probability of success. Definition: An activity that imparts knowledge or skill. If you require instant gratification; if you plan to take one short course and immediately become a profitable trader; I’m not the right teacher for you. I believe that you must understand how options work. Then understand the specific strategy you plan to use. Know what must happen in the marketplace for the strategy to earn a profit (or suffer a loss). It astounds me that beginners make a trade and then have no idea what to do next. Entry is merely the first step in a longer process. It’s not that complicated. I offer this advice: being in a hurry and taking shortcuts is ill-advised. Learn now. Trade later. We’ll talk about trades from entry through exit and learn from experience. Details are important. I expect you to come away from a lesson with something of value; something you can use when trading options or managing a position. Traders accumulate insight, tidbits of information, and experience over the years. It does not come all at once. To help with the process, I occasionally offer a discussion on a topic that feels more advanced than it is. The goal is to help YOU recognize principles that enhance your trading. One example is how two seemingly different option positions are equivalent [each earns the same profit or loss]. That’s truly an eye-opening experience when you first recognize this simple, but not obvious fact. The first rule of trading is simple: Don’t go broke. It seems obvious, but is often ignored until it’s too late. You will learn to minimize the chances of blowing up an account. It’s not as simple as: “Don’t take a lot of risk in one trade.” Some traders lose their accounts gradually and end up just as broke as the person who blew up over a single trade. Trading is a business that punishes mistakes. We learn from our mistakes, but that’s true ONLY when the mistake is recognized. If you act on a misconception, then mistakes are repeated. My job is to eliminate those misconceptions. I encourage education and practicing (paper trading) before using real money. Each trader has an individual personality and investing objectives. I do not adhere to strict rules because that cannot be suitable for every type of trader. That’s a capsulized portion of my beliefs. Our plan is to guide you toward making your own, good trade decisions, solving problems, choosing intelligent trades, and managing risk with skill. If those are not your goals, we will be on divergent paths. Welcome to Options for Rookies Premium.